This is sick, sad, and disgusting. Everything that this country stands and has stood for, is now under attack for short term political gain. This is the Republican *leadership*, working every day to change what it means to be an American (which you can only be if they approve of your heritage). This is officially disgusting. Senate Minority Leader Mitch McConnell is the latest high-profile Republican to say Congress should reconsider the guarantee of birthright citizenship provided by the 14th Amendment, in light of the current debate over immigration reform. McConnell’s remarks echo those of Sen. Jon Kyl (R-Ariz.), who said Sunday on CBS’ “Face the Nation” that he would like to see congressional hearings on the issue. So what does the future of Republican America look like? I’m not sure, but I do see a lot of jackboots kicking down doors and kids screaming in pain. Do these fools have any idea what their hairbrained schemes actually entail? Do they really think we want to turn our backs on the very notions that this country was founded on? On the very ideals that made it great? It seems more and more obvious they do. Jeez, I can’t wait for the boomers to die off. I just hope the country can survive until then. UPDATE: Looks like one of my idiot Senators (and Republican leader) is going along with this nonsense. WASHINGTON – Texas Sen. John Cornyn is the latest senior Republican to call for a review of “birthright citizenship,” amid complaints that illegal immigrants have abused that post-Civil War constitutional provision. “We need to have hearings. We need to consult constitutional scholars and study what the implications are,” Cornyn said Wednesday, noting that about 540,000 people were caught illegally entering the United States last year through Mexico. Interesting stat to use there, John. Wouldn’t it be more accurate, in this instance, to quote how many Americans of Hispanic descent were born here last year? That’s the number you want to bring down. For as much money as John Cornyn has, he sure is spending it in the most bizarre ways, and on some of the most in-effective TV ads I can imagine.After mucking up his launch by running ads immediately after Hurricane Ike and running them for two weeks statewide with seeing a negative bump in the polls, his campaign unveiled their latest ad. John Cornyn has moved from a canyon- to a field of cows. No, I’m not kidding. Watch it. This is such a joke. C’mon, gimme a break. 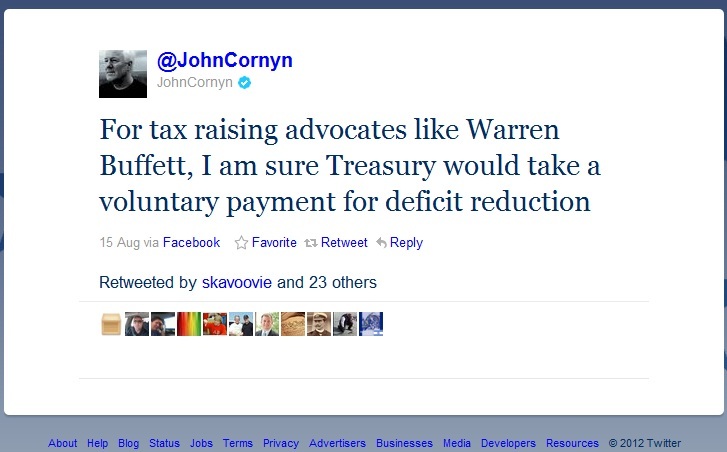 Cornyn has been in lock-step with Bush his entire time in the Senate. He defends him at every turn. He’s as big a problem with what has happened as Bush is. Except he had less power. Regardless, he was with Bush on everything. And I don’t think I can be literal enough about that. Sadly, this is what he’s up against. There he was, trying to attract Texans’ attention by holding a Webcast town hall meeting to answer voter questions about his U.S. Senate race. Two minutes later, Democrat Rick Noriega’s show turned to static. Lots of static. Then the camera tilted upside down. Then more static. The screen went to black. A few voters’ questions could be heard, but Noriega’s answers were often interrupted by audio and video glitches. Technical troubles aren’t the only difficulties lately for Noriega’s long shot bid to oust Republican Sen. John Cornyn. Faced with Cornyn’s far larger bank account and advantage of incumbency in a predominantly Republican state, Noriega has little room for error. Yet his campaign continues to stumble on matters big and small. Seriously though, the guy’s name is Rick Noriega, which is a tough name to run on in the U.S., much less Texas. He’s got a funny ad though. …which has been seen roughly twice as many times as my own video from last week regarding the economic collapse and who to blame…which inlcudes John Cornyn. Twice. Which is sad, because I’m not even running for Senate. BTW, you can read about their recent debate here. From the polls I’ve seen, Corny is up about 6 or 7 points. Hopefully as McFailin continues to implode and Obama surges, it will drag along the Texas electorate. I know that sounds pretty fanciful, but you would be surprised at the Obama/McCain car sticker ratio in Dallas, which is where the “W Museum” is being built (and a “W Hotel” already has been).